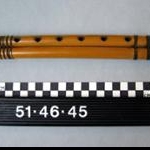 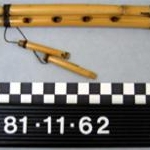 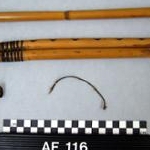 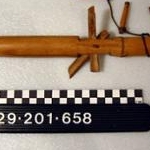 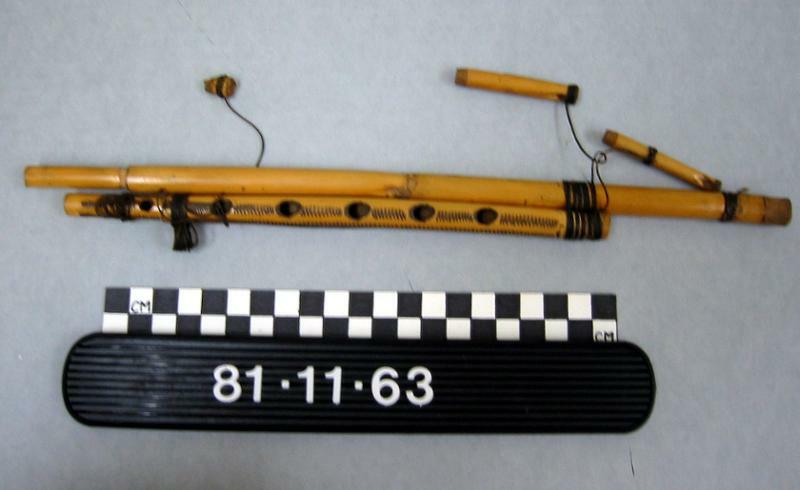 Clarinet of two lengths of bamboo tied together with black cord; the two pieces of bamboo are not the same length. 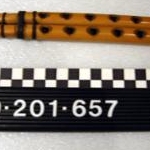 One has no fingerholes; the other has six fingerholes and has been incised with decorative "thumbnail" designs. 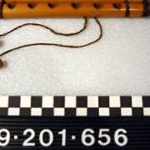 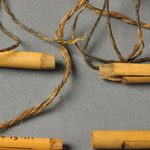 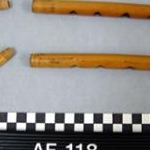 There are two loose reeds which are tied on at one end.